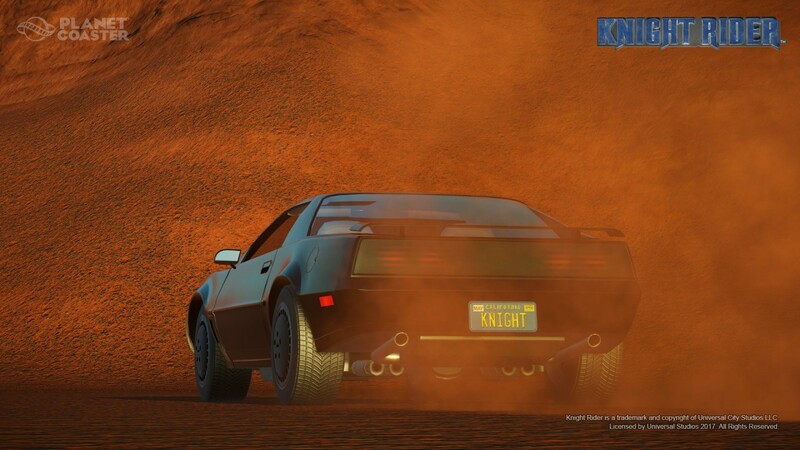 The Knight Rider™ K.I.T.T. 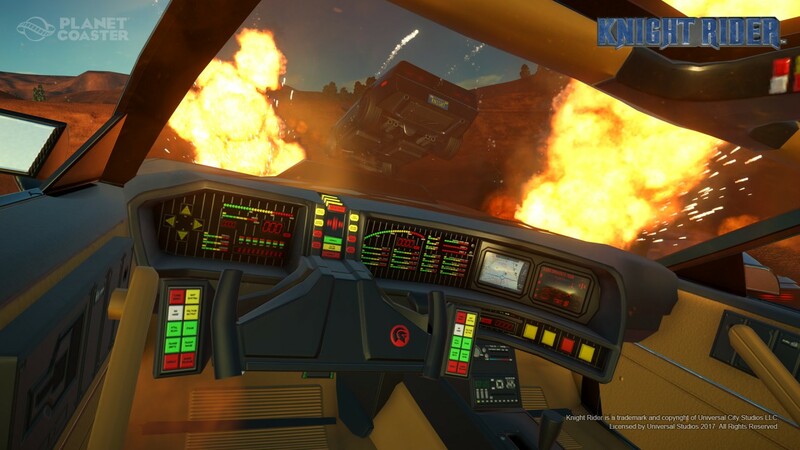 Construction Kit features in-game replicas of K.I.T.T., K.I.T.T. 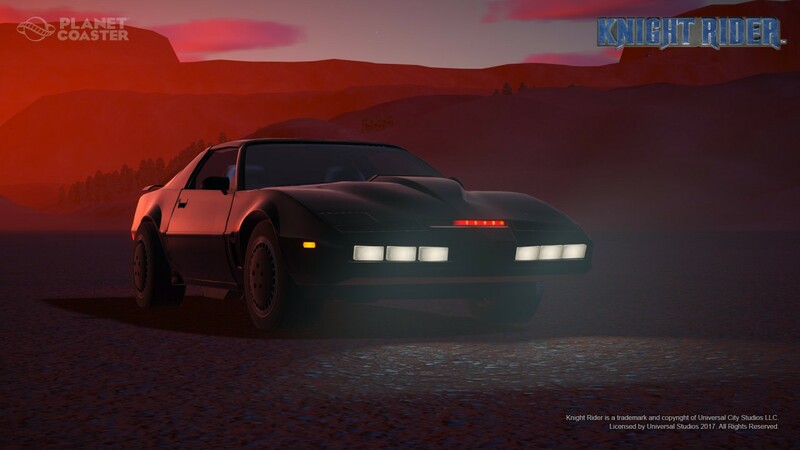 in Super Pursuit mode, and the evil Knight Industries prototype K.A.R.R. with silver and black finish. 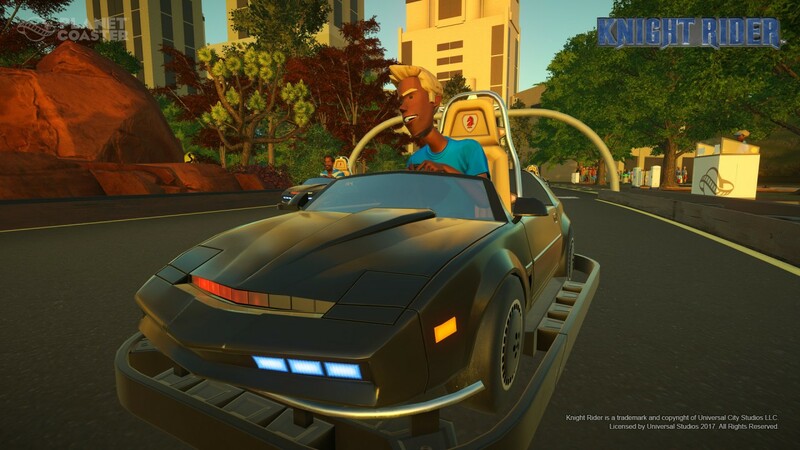 Take a shadowy flight into Knight Rider™ K.I.T.T. Construction Kit for Planet Coaster. 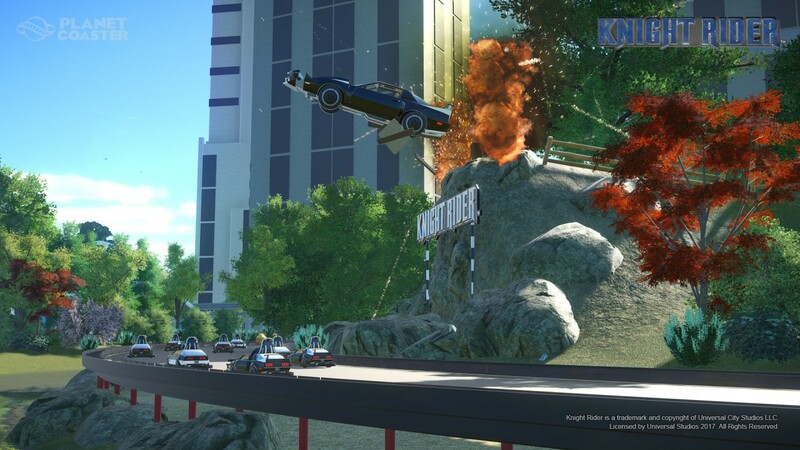 With the Knight Rider™ Construction Kit all three vehicles will be made available in-game as 1:1.2 scale scenery pieces and 1:1.8 scale ‘kitbash’ models which can be disassembled and re-assembled however you choose. The Knight Rider™ Construction Kit also includes a karting replica for the ‘Speed’ go-kart track, backlit logo sign and bonus animated FX pieces. Champion the cause of the innocent, the helpless and the powerless in Planet Coaster today! Miniature K.I.T.T. kart for ‘Speed’ karting track. Six-piece building set for building K.I.T.T., Super Pursuit K.I.T.T. and K.A.R.R.